Last week I wrote a post on Flickr Commons and the way that it has opened up our collections and resurrected the past. One of the ‘super sleuths’, as we call them, who goes by the name of quasymody, did their own bit of research and stumbled across the November 1930 edition of The Home quarterly magazine. Lo and behold, on page 52 were Hood’s photographs from the museum’s collection, depicting the Dutch Navy reception that took place on board HNLMS Java on 10 October 1930. Directly underneath the image above, was that all-important detail, a name. A breakthrough at last! 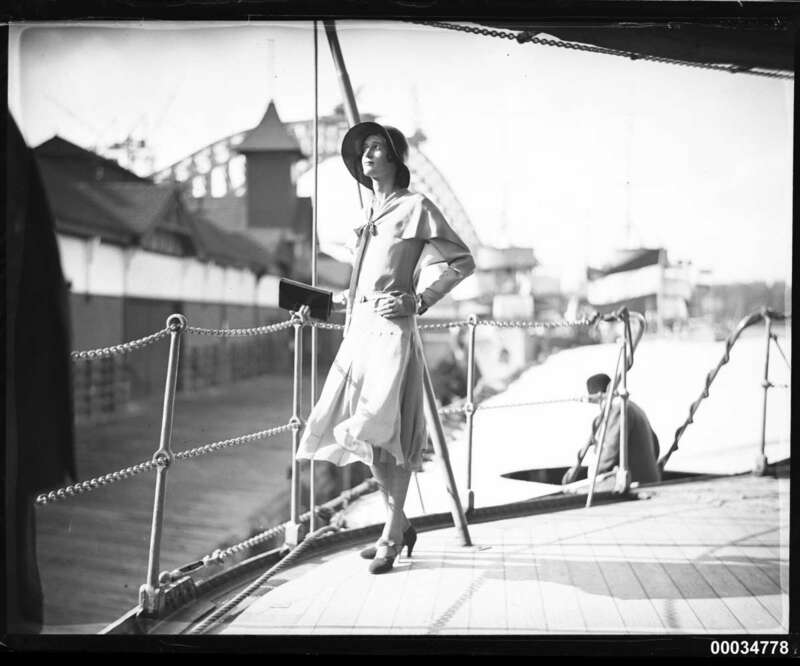 The lady with flair was Miss Hera Roberts, Sydney painter, designer, illustrator and socialite. Her appearance in The Home was no coincidence. Hera designed and illustrated over 50 of its covers and was considered an arbiter of taste when it came to interior decorating. As its subtitle suggested, The Home was Australia’s ‘Journal of Quality’, as it detailed all that was fashionable and à la mode in the world of art, design and fashion. The publication embodied the height of sophistication during an era that favoured the bold and modern exuberance of all that was Art Deco. 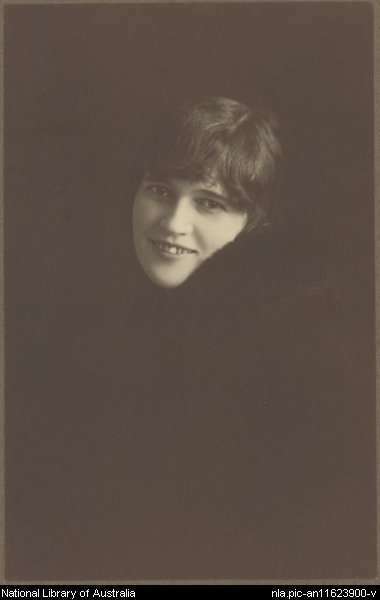 In addition to her reputation as a leading authority on aesthetics, she was the muse to many of Australia’s most talented artists and photographs. 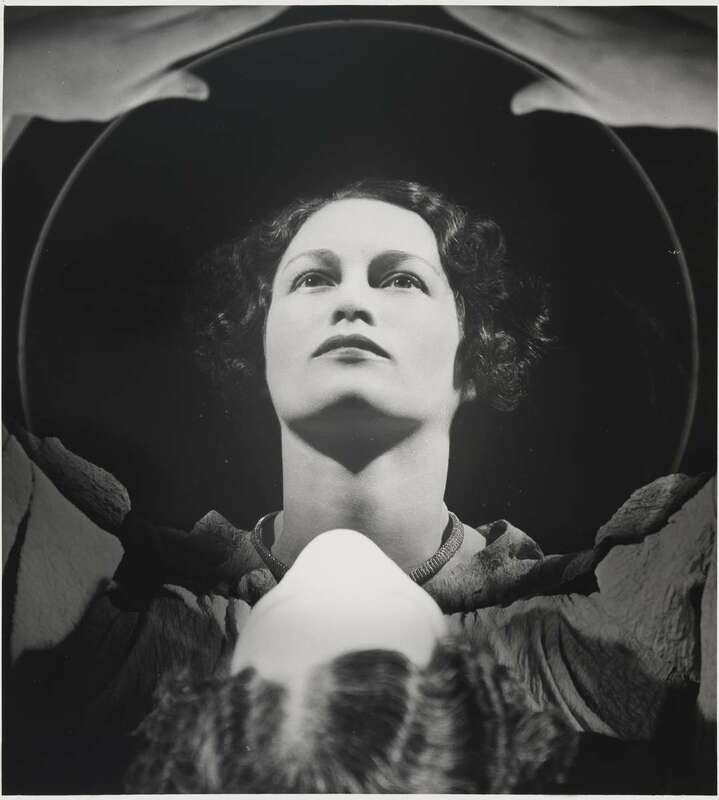 Max Dupain and Harold Cazneaux both captured beautiful portraits of her and Thea Proctor, her cousin and one of Australia’s most renowned female artists, paid homage to Hera in her work The rose (1927). George Lambert also painted a beautiful portrait of her in 1924. The work, held in the National Gallery of Victoria’s collection, depicts a youthful looking Hera in a pose strikingly similar to Hood’s photograph, hand on hip and neck craned revealing her slender figure. These portrayals echo the theme behind many of her Home journal covers; the modern woman should be elegantly poised in a nonchalant way, peering intelligently in the distance or directly at the viewer. Don’t forget to read the Flickr conversation that unlocked the secret behind this photograph. Thanks again to quasymody!